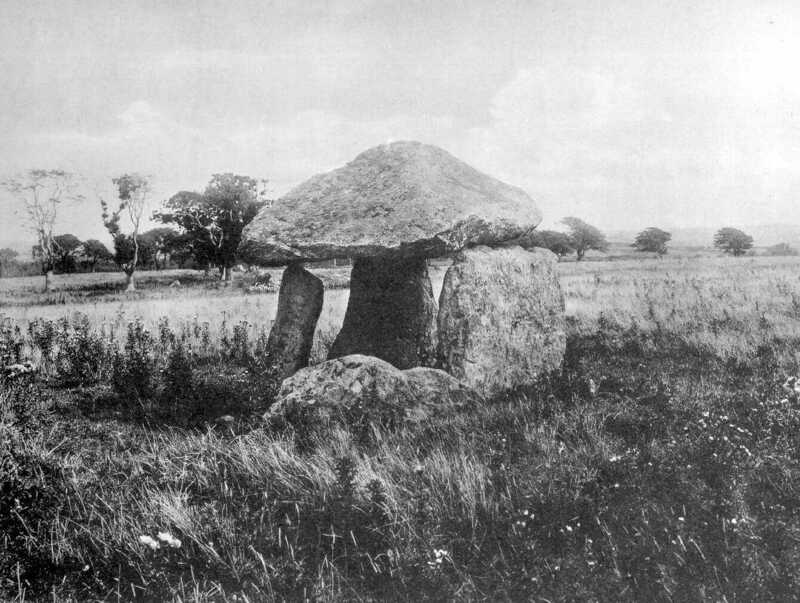 This Cromlech stands in a field on Bodowyr farm, on the right hand of the road that leads from Felin Bodowyr to Llangaffo. It is one of the prettiest Cromlechs in the whole island. The capstone is four sided, and pyramidal in form. The north-east measures four feet six inches; the south-east, six feet three inches; the north-west, seven feet; and the south-west, six feet; and it is seven feet six inches in height from the ground. There are five supports, but two have fallen down, and are lying on the ground, and the capstone at present rests upon three only. (See Arch. Camb. 1869 and 1878).